Last September, I attended Excellence in Journalism 2012 #EIJ12 in Ft. Lauderdale, Florida. I’m from Florida so it made sense to go. My SPJ chapter went as a group and made the four-hour trek south to the convention. It was definitely a new experience and certainly a rewarding one. I mean, how often do journalists from all across the nation come together for a weekend in the name of all things journalism? But, as much fun as it was, I figured I probably wouldn’t get the chance to attend again anytime soon. I knew the location changed every year and I assumed next year’s event would probably be on the other side of the country. And I was right. However, this past January I began working for The Walt Disney Company, which led to me having roommates. One of my roommates, the one I shared a room with, is from the Los Angeles area. This past April, said roomie invited me to go home with her to California — which ended up being my very first trip to Cali! Fast forward a few months later to find out that not only is this year’s convention IN California, but it’s being held across. the. street. from. DISNEYLAND. Really? What are the chances? So, four months later and I am preparing for a journey out west once again. Isn’t it funny how life works out sometimes? It is truly remarkable how seemingly little choices and decisions can affect other aspects of your future. It’s fascinating to reflect on the little web that is your life and the zillion degrees of separation that form and intertwine from within it. Yes, journalism. Of course. It’s always fun to be in a room with other crazy newsies. Being reunited with my roomie! DISNEYLAND – #DUH. I mean, I’ve only spent one day out of my entire life in this resort, so there is SO much more for me to see and explore. Funny sidenote: the convention is giving each participant two free park hopper tickets. OF COURSE THEY ARE…now that I can get myself in no problem. See, life wins again. Seeing Jason Mraz in concert on Labor Day. That’ll be one off the bucket list. The culture & languages – I can practice my Mandarin AND my Spanish all in the same day! Not knowing what the day will bring. Making new life connections – who knows where these new stories and experiences may take me! 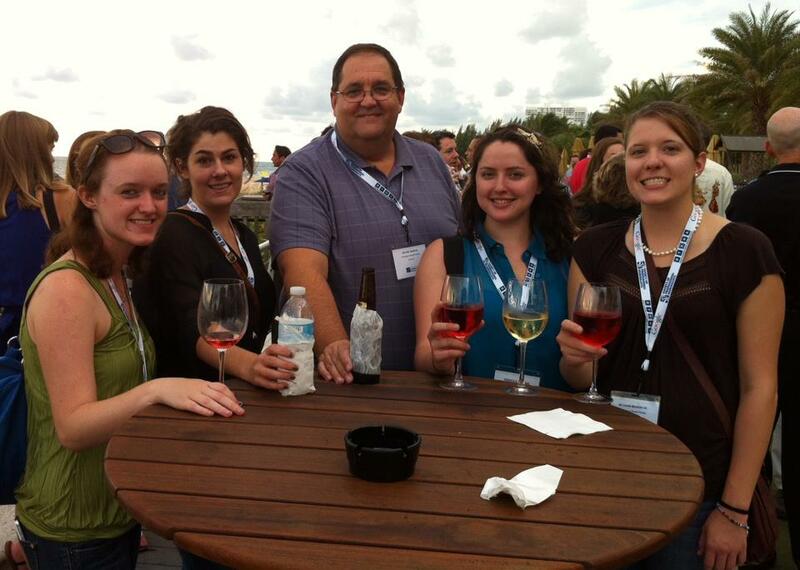 EIJ12 Welcome Reception: USF SPJ with our genius professor! I’m so jealous but I’m happy for you that you get to attend! Network and learn as much as you can! Also, enjoy Disneyland! You’ll have to tell us about your trip – it is crazy how life works out sometimes! Hi did you need a car for the disney professional internship?